Saturday 19, Vendiak Etterem in beautiful Budapest, Hungary at noon. 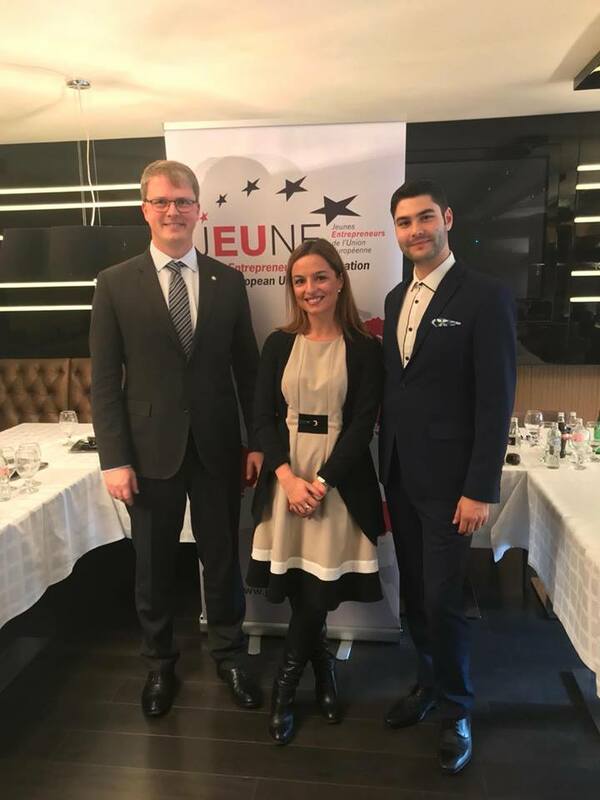 This important day for JEUNE has brought the Association’s Presidents and representatives together, to discuss about the future goals and strategy of the Young Entrepreneurs Association of the European Union. 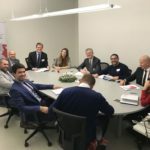 The Presidency, the Advisory Board and the members shared their recent experiences and knowledge on youth concerns and discussed how can JEUNE create more new opportunties and connect to different continents and reach for greater expertise and know-how from the entrepreneurial success stories. 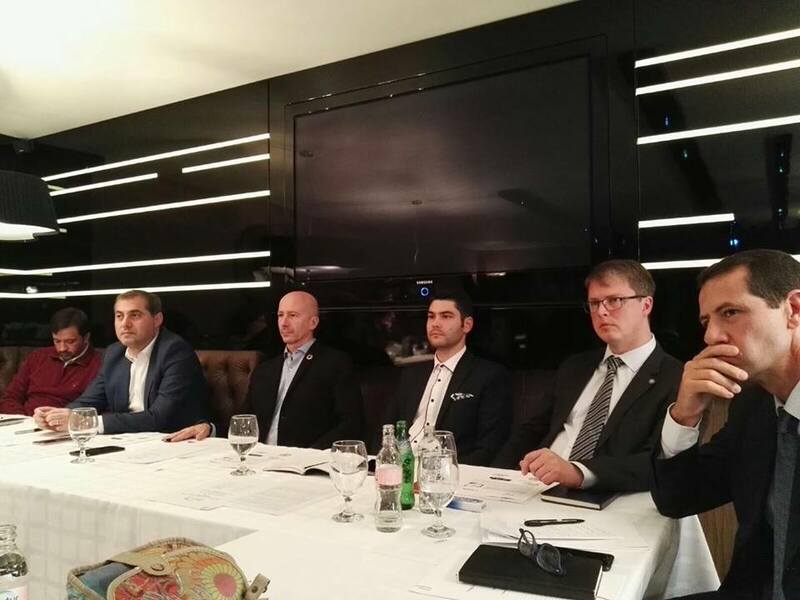 The President of the Advisory Board, Mr. Michele Orzan opened the General Assembly and greeted the members present inviting them to share their recent developments, insights and challenges so that exchange of ideas can take place since transparency and open-minded thinking is one of the values, our association stands for. Sharing knowledge, perspectives and information were not the only important points to discuss on the Agenda. 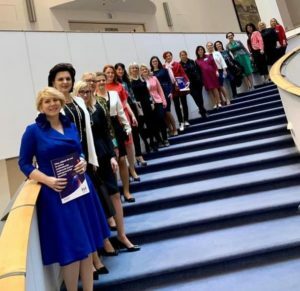 The association faced a new challenge, electing a new President that will lead the young entrepreneurs from Europe, raise the voice of the importance of their presence at the business world and bring new projects to the organzation that will further elevate its significance and existing. 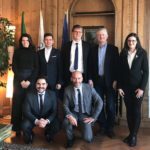 Mr. Andrea Gelfi, Member of the Executive Board of Confcommercio Imprese per l’Italia and former Vice-President of JEUNE serving as long-year friend of JEUNE is now taking the role of being the President of JEUNE. His finetuned expertise in the sphere of entreprenurship leading Pixel Service & Consulting, serving as Partner and Marketing Manager for ConfiNet Srl, CEO of Media Technologies Srl has given him the solid background and deep understanding of the challenges that young entrepreneurs are facing in Europe. In his opinion not only the society needs the economy, but also the economy needs the society so there must be a strong bridge between these two. 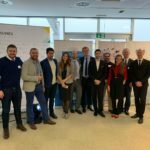 The strong point of JEUNE according to him is the network of best established organizations that could enable young entrepreneurs to reach greater cooperation opportunities. The dream of JEUNE is to improve the market and to help young and talented entrepreneurs to grow bigger and more prosperous. 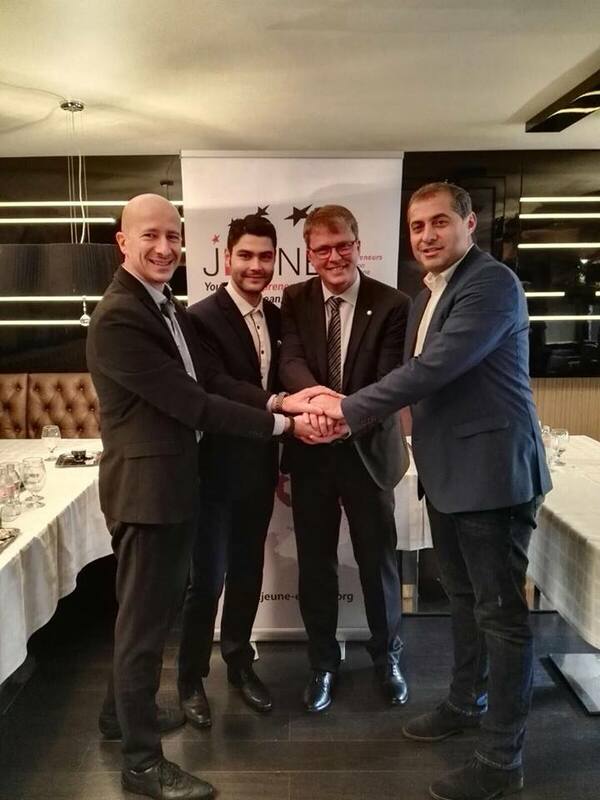 Mr. Andrea Gelfi proposed Mr. Patrik Kovacs, Mr. Alberto Neto and Mr. Ali Yucelen as his inner team, as the Vice-Presidents of JEUNE and members voted them with full support. Expressing utmost gratitude for his achievements, JEUNE voted Mr. Florin Jianu, the President of the National Council of Small and Medium Private Enterprises in Romania and former Minister for Business, Trade and Entrepreneurship in Romania thus former President of JEUNE as Honorary President of the Young Entrepreneurs Association of the European Union. 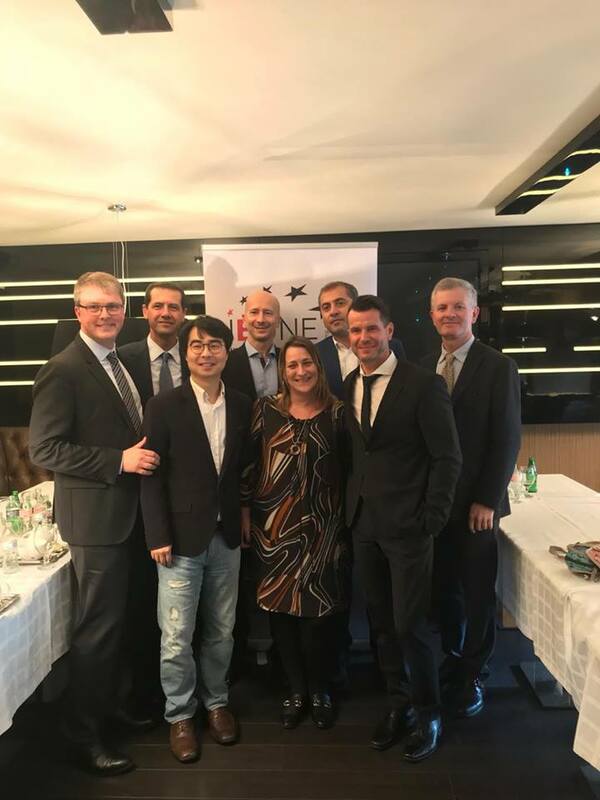 The Advisory Board thanked Mr. Patrik Kovacs for his so-far well recognized achievements and the global positioning of the association world-wide. During his three-years mandate, Mr. Kovacs brought 9 new countries on board, built connections on 5 continents, held the highlighted attention of the institutions of the European Union by not just connecting but advising the newly formed European Commission on youth entrepreneurship issues and renewed connection with UEAPME and brought JEUNE in the European Youth Forum as the official voice of European young entrepreneurs in the highest level of youth policy creation organs and bodies. 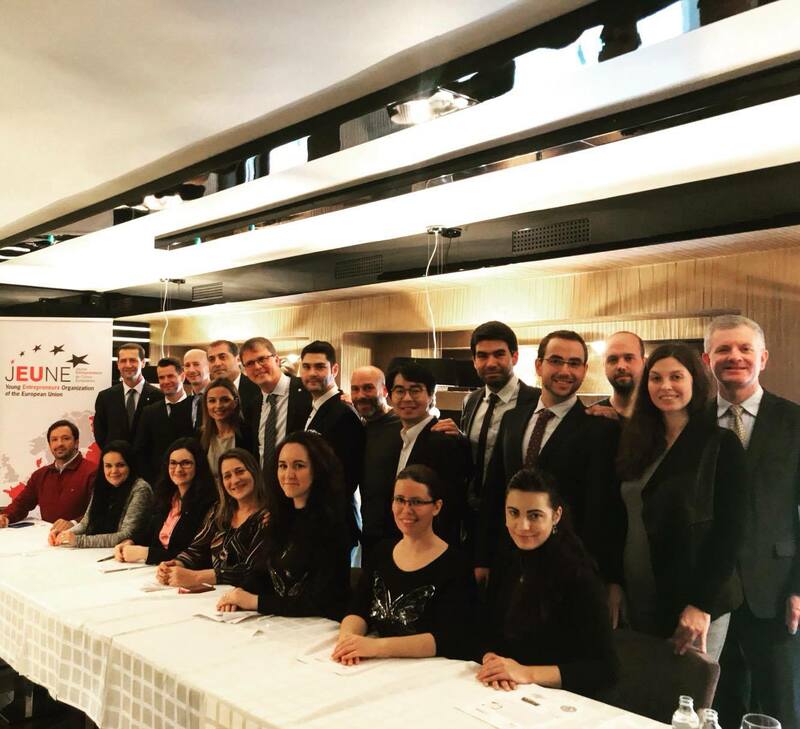 Mr. Kovacs has also formed the Advisory Board of JEUNE thus engaging world-class professionals from IBM, Mercedes-Benz, Bugatti and other high-level international organizations to provide JEUNE with their kindest and meaningful support on youth entrepreneurship and creating success advisory. 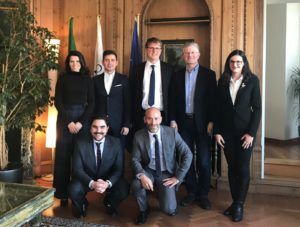 The Members voted Mr. Larry Moffet, Mr. Ingo Froehlich and Mr. Michele Orzan as part of the Advisory Board and welcomed Mrs. Angeliki Karampourouni, Mr. Michael Lee and Mr. Alessandro Micheli as new members of the Board that will join the capacities and connections and elevate JEUNE on a higher level. The Members decided to give a second mandate to Mr. Michele Orzan to preside with the Advisory Board again. Understanding the importance of women in business, proposed by Mrs. Alexandrina Robu the Honorary President at Rotaract Club Chisinau, the members voted the Women Entrepreneurs Committee that will help young entrepreneurial women to pursue their dreams to reality through business advising and networking. More information will follow. Thank you for sharing our information!